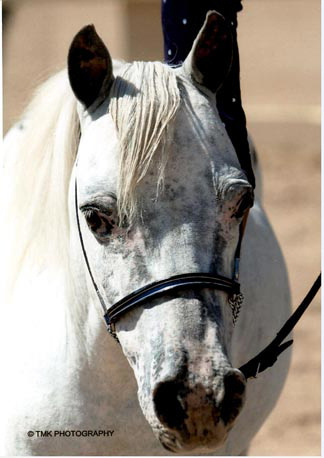 My lifetime love of horses flourished when I lived on several large cattle operations here in Arizona as a young adult and learned to appreciate the absolute necessity of having a good horse under you. 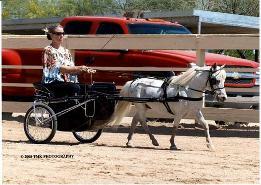 Knowledge of good equine conformation, temperament and stamina was a must. I bred, worked and showed full sized Appaloosas for many years, focusing on athletic ability, with foals including the well known stallion Navajo Joe Reed, who qualified for the World several times. I also loved speed events and placed fifth in the state on my Appaloosa mare Whistle Me Dixie, after obtaining several local championships with her and another Appaloosa mare Fourmile Sue. 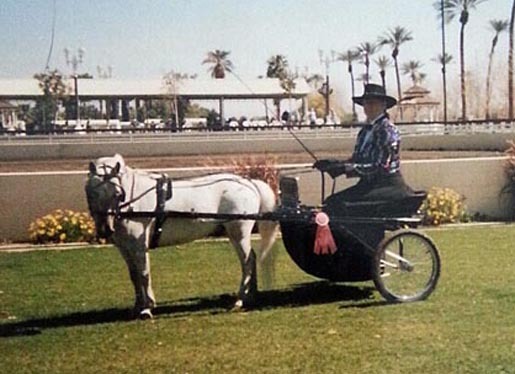 I switched gears in February 1995 with the purchase of my first Miniature Appaloosa stallion, Grays Smoke Signal (Bob), who sadly passed away in August 2015. I was looking for a good driving horse. Bob's excellent conformation, athletic abilities and willing attitude, proved to be exactly what I was looking for. It all soon blossomed into a passion for breeding and showing top performance Miniatures with color. It became a fresh challenge, searching the U.S. to find good breeding stock to fit my high standards of what a pretty and athletic performance horse should be. I have limited my breeding to just a few foals per year that are the result of years of selective Appaloosa to Appaloosa breeding with some of the top lineage available. All horses at Heather Glen are AMHA and AMHR registered. Conformation, Disposition and Style are a must, with Color a plus! Pictured below, Grays Smoke Signal, the one that started this adventure.